TiLOOP® Bra is the extra soft titanized mesh for breast reconstruction, which shows exceptional surgical results and a perfect aesthetic outcome. This is the only mesh registered specifically for breast reconstruction and is also recommended in German surgical guidelines. Thanks to its outstanding biocompatibility, it enables a better quality of life and shorter convalescence. TiLOOP® Bra is available in three different version to support smaller breasts (<200 g), medium-sized breasts (<350 g) and larger breasts (<500 g); the choice of version is at the discretion of the implanting physician. Separate the pectoral muscle from the caudal end toward the sternal edge from the thoracic wall. Fix the TiLOOP® Bra mesh implant to the caudal and lateral end of the pectoral muscle with a continuous suture. When fixing the TiLOOP® Bra mesh implant to the muscle edge, care must be taken regarding the flexible and elastic orientation of the mesh fabric to permit the post-operative stretching of the caudolateral part of the reconstructed breast. Stich the lower part of the TiLOOP® Bra mesh implant to the inframammary fold with single stitches using monofilament sutures. It is highly recommended to have patients wear a support bra post-operatively in addition to a Stuttgart belt in order to support and improve post-operative stretching in the caudolateral breast pole area. 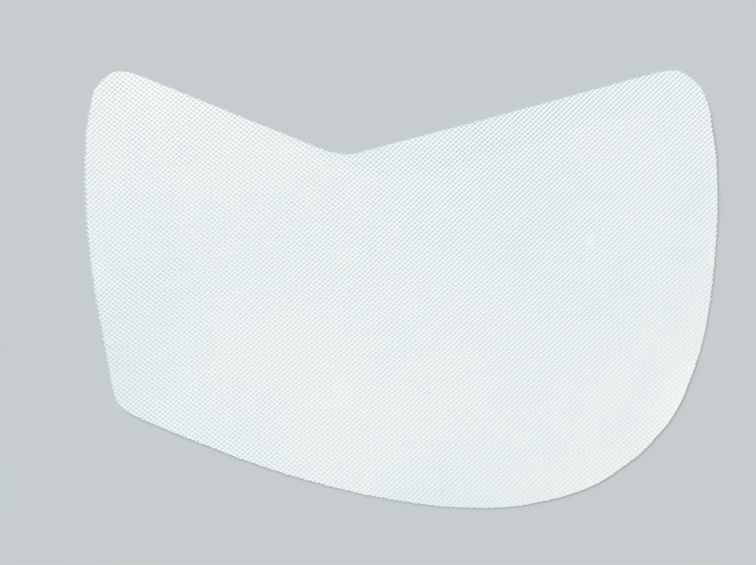 TiLOOP® Bra is a soft tissue reinforcement implant used in reconstructive breast surgery.